It was a busy and productive month for Reach Out and Read volunteers. 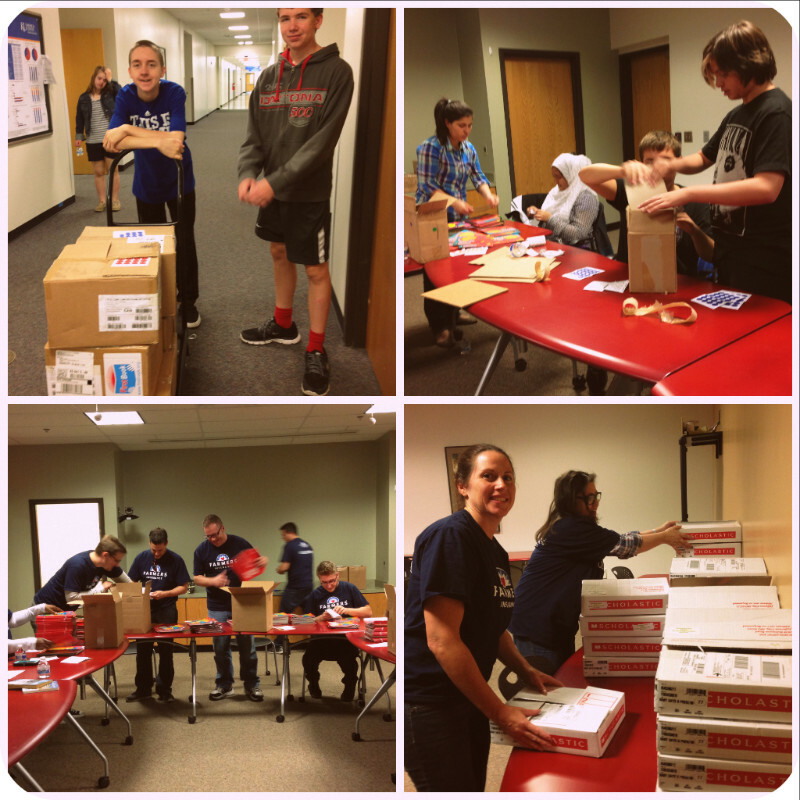 In addition to our devoted crew of waiting room readers, we hosted teams from Farmer’s Insurance and Blue Valley North to our offices to sort and label thousands of books we received recently from Scholastic and First Book. The Farmer’s group was here as part of a service project and team building exercise during a 6 week training course. Students from Blue Valley North were part of a group organized by their teacher, Kaci Beichley, to help instill the lesson that it is important to give back to the community. Visit our website or contact Jenny to learn more about ways your group can have fun while helping make a difference at RORKC.